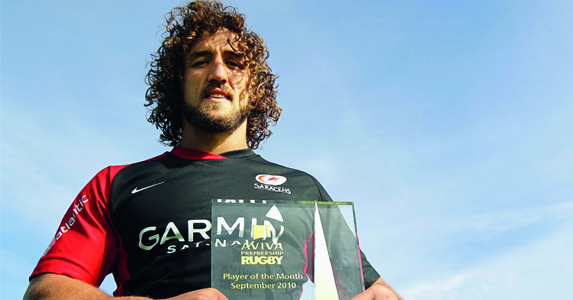 Jacques Burger is the inaugural winner of the Aviva Premiership Rugby Player of the Month award. The Saracens back row was picked for September by a panel made up of rugby media representatives from print, TV, radio and the photographers, who all watch Aviva Premiership Rugby on a week in, week out basis. The Namibian has established himself as one of the ‘must see’ players in the league since he joined the North London club half way through last season. His bruising and high octane performances have helped take his club to third place in the Aviva Premiership Rugby table so far this term.